BoldTypeNews looks for news stories about people you know. The app matches the names in your Contacts to names in newspaper articles. BoldTypeNews is news that can help you. What news do you provide? BoldTypeNews shows you news stories about people you know. 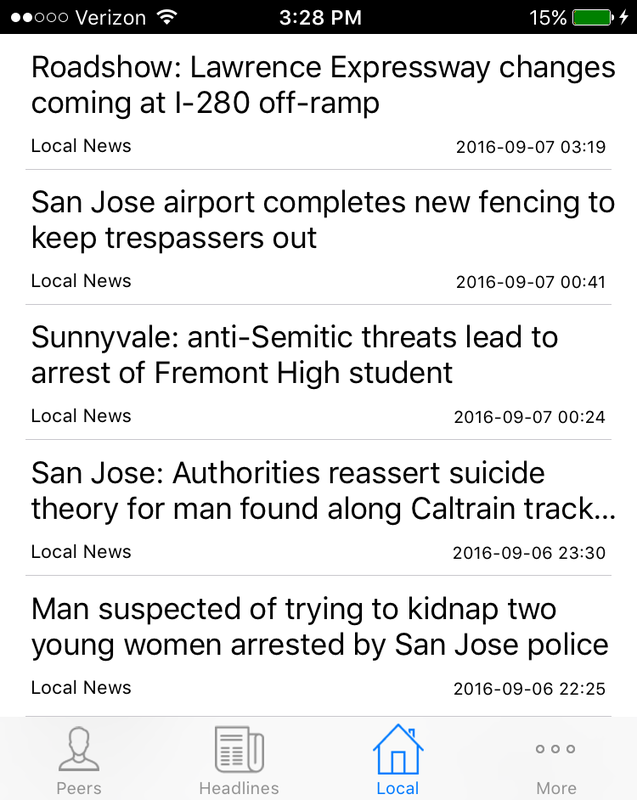 BoldTypeNews also shows you headline news and local news based upon a location you provide. What is required to use BoldTypeNews? To see news about people you know, you provide permission to access your Contacts. To see local news, you provide a ZIP Code. What information do you access? To show you news about people you know, BoldTypeNews asks you for permission to access your Contacts. Unlike other apps, we do not require permission for data that is personal to you or data we do not need. We do not track your location. The BoldTypeNews app uses address book information to find people you know in the news. Do you share my Contacts? Why do you ask for an email address? We ask for an email address only if you want to be notified by email when your peers are in the news. IF you provide an email address, we will email you once a day (or once a week) and only if there is news about someone you know. The Peers screen shows you news about your contacts. When you first sign up the screen will be empty. When BoldTypeNews finds news about people you know the stories will appear on this screen. Swipe down to refresh this screen. Tap on a news story or swipe to the right to read the article. You can manage the people you follow by swiping left to reveal the Do not follow option. I don't know this person: Select this option if you do not know the person in the article. 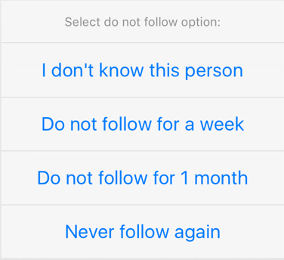 Do not follow for a week/1 month: Select these options if there is a burst of news about someone you know and you want to suspend the news for a period of time. Never follow again: Select this item if you know the person but you never want to see news about this person again. 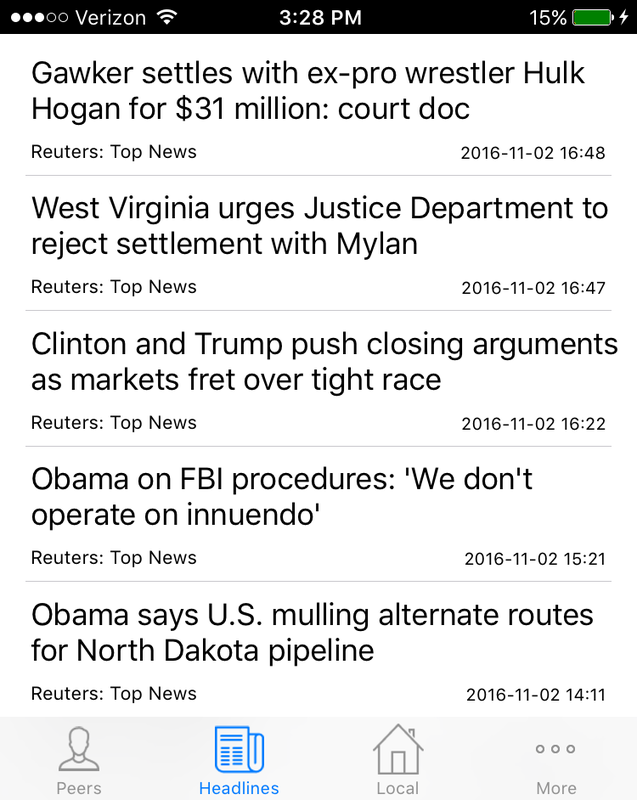 Tap the Headlines menu item to see breaking news. Provide a ZIP Code and BoldTypeNews shows you news local to your area. Tap More to set your preferences. See below. See your local news when you provide a ZIP Code. Control how you are notified when your peers are in the news. BoldTypeNews only sends you an email if there is news about someone you know, regardless of the frequency you selet. Or send an email to Support@BoldTypeNews.com.